Linguists paid special attention to collect and record names of plants and technical terms related to agriculture. This endeavour supplied a rich treasure of vocabulary reflected in several specialised dictionaries, such as Al-Mukhassas (The Specialised) of Ibn Sîdah. Whomever has the chance to observe those linguistic essays on agriculture and cultivation will be completely amazed of its punctuality and comprehensive information, particularly in what regards as “Plant Anatomy Science” at present. “When initially planted and that it starts to grow, the palm tree is called al-naqîra’ (throb); al-naqîra is the umbilicus pip. The throb, the linguist Abu Zaid explained, is the tiny hole on the back of the pip from where the palm tree starts its growth. 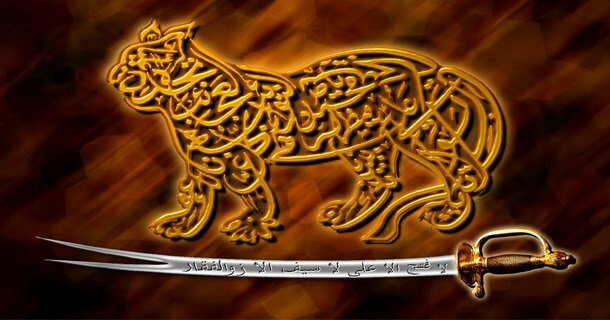 The next phase is the herp (najîma), then the thorn, then the plaitwork then another one and another one; when the palm becomes a tree, it is called mat (al-farsh), when the plaitworks are numerous and widened, it is called the sharp (al-safîfî), then the stripe (‘asîb), then sap (al-nasigha) and finally the pronchial (sha’îb)“. “The first thing to know about agriculture is the earth itself, whether good for planting or not. Who is not well aware of that will not succeed [in agriculture] .” This statement specifies clearly that agriculturalists should have vast knowledge regarding the earth, its nature, type, plants and trees which should be planted in the said soil,but also its coldness, heat, degree of humidity, desiccation and the impact of all these factors on the plants. 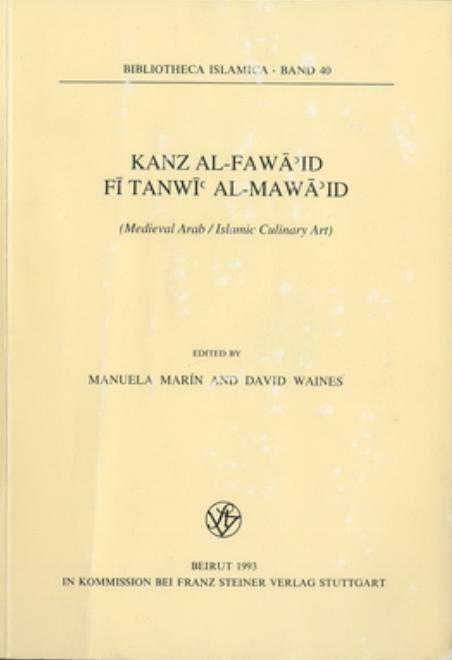 Figure 3: Front cover of Kanz al-Fawa’id fi Tanwi’ al-Mawa’id: Medieval Arab-Islamic Culinary Art, edited by Manuela Marin and David Waines (Beirut: in Kommission bei Franz Steiner Verlag Stuttgart, 1993). An anonymous medieval Arabic cookbook, possibly of Egyptian provenance, compiled sometime during the Mamluk period (1250 – 1517). The book contains more than 800 recipes for the preparation of dishes, sweets, drinks, medicines, etc. 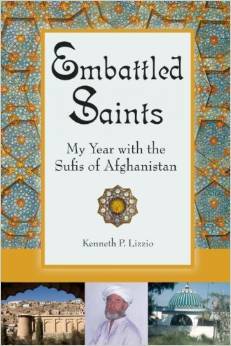 from different regions in the Middle East with frequent health references attached to them. 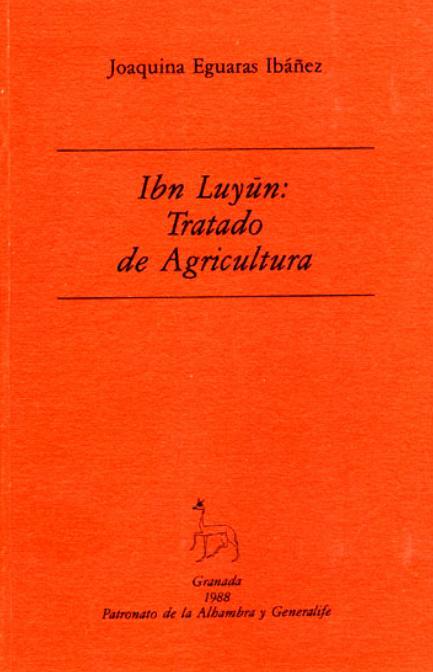 The irrigation legislation and methods inherited from Islamic history were so efficient that their remnants survived the course of time – some are still enforced and in use in some parts of Andalusia in present day Spain. The Water Court of Valencia is still holding weekly sessions every Thursday as was the case during Islamic rule. Ibn Al-Hajjaj said: “You should know that if the earth is not fertilized, it becomes weak but if over fertilized it will be burnt” . This theory indicates a farsighted point of view and a shrewd mind. With time, plants exhaust their food stored in the earth and that should be replaced, but not in surplus quantities. For this reason agronomists recommend that that the manufacturers’ instructions labelled on fertilizers containers should be strictly followed. Due to the importance of the fertilizers, Ibn Bassal, Ibn Hajjaj and Ibn Al-‘Awwam explained in detail the types of fertilizers and their suitability for certain kinds of earth and plants. They also discussed the use of tree leaves for the soil  and regarding compost fertilizers. Ibn Bassal divided his observations in to three types, one solely being that of a mixture of grass, hay and ash to be placed in a hole. Followed by water being poured over them and subsequently left to rot. Using fertilizers is restricted only on earth and plant reform. Ibn Bassal mentioned that the pumpkin is first planted on fertilizer benches then when it is strong enough, moved to the normal soil . “If you see a tree of little production and weak branches with worms inside the fruits and drops the same down more than usual for years, that means that the soil is improper. To treat that you have to dig around the roots 2.5 m away from the main trunk, remove the soil and fill the hole that you dug, with a new one taken from the surface of another soil then press it heavily with wooden sticks. If you find the roots almost rotten, cut those roots then add natural fertilizer, if you found the roots spoiled by worms, add ash to the fertilizer. If you found the soil is too moist, fill the hole with dry red soil or sea (or river) sand mixed with old fertilizer” . “Naturalization needs research and observation as the misfortunes are numerous. The naturalization on the other hand is useful as it speeds the production of the tree. You should know the nature and age of the tree and choose the proper time for naturalization”. Figure 6: Table of contents of the electronic edition of ‘Ilm al-milaha fi ‘ilm al-filaha, a book on agriculture written by Abdel-Ghani b. Isma’il al-Nablusi, a Syrian writer (1050H-1143 H/1641-1730) (read online here). Muslim scientists did not only state the rules, techniques and types of naturalisation, but also naturalised the odd types of trees , Examples of this include the naturalising of the fig with the olive and the rose with grapes, apples and almonds . The art of naturalising in Toledo was so advanced that the historian Ibn Sa’id said that he saw multiple types of fruits on one tree . The interest of classical agronomists of the Arabic tradition in flowers and roses made the perfume industry an advanced one. The city of Jur was famous in manufacturing and exporting various kinds of perfume . 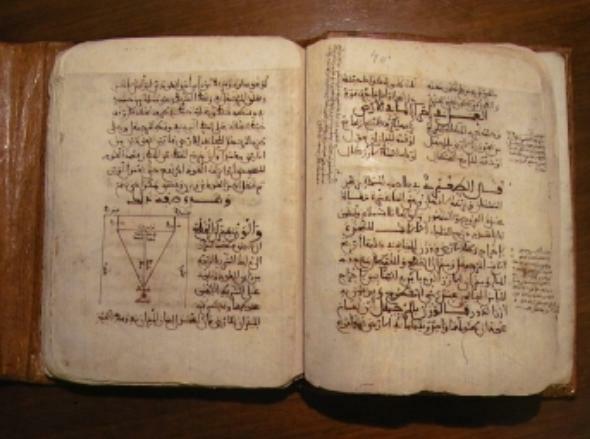 The twelfth chapter of Al-Nuwayri’s book Nehayatu al-‘arab (the most desired) presented many recipes for preparing perfumes and scents by the way of distillation. The investigation of A. M. Watson set the stage for a paradigmatic shift in considering the real impact the Islamic agricultural tradition had on three continents (Asia, Africa and Europe) during a long period, until the 13th century. 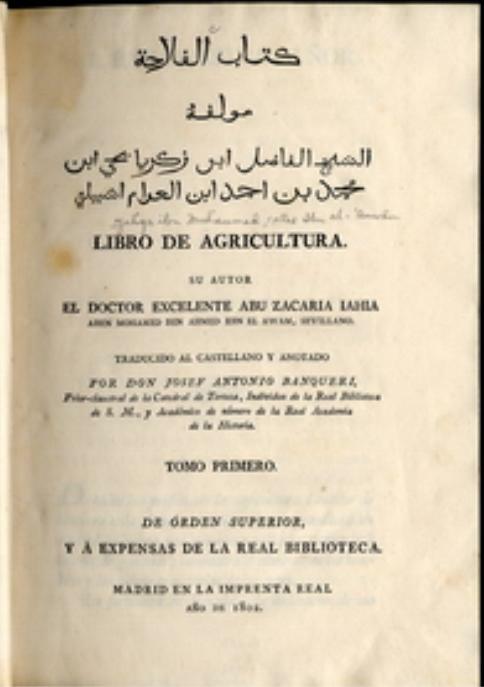 The author named this shift as the Medieval Green Revolution (transformed later to the “Muslim Agricultural Revolution”, “Islamic Agricultural Revolution”, and “Islamic Green Revolution”) . All those expressions correspond to the same reality postulating a fundamental transformation in agriculture from the 8th century to the 13th century in Muslim lands . Watson argued that the economy established by the traders of the Muslim world across the Old World enabled the diffusion of many crops and farming techniques among different parts of the Islamic world. 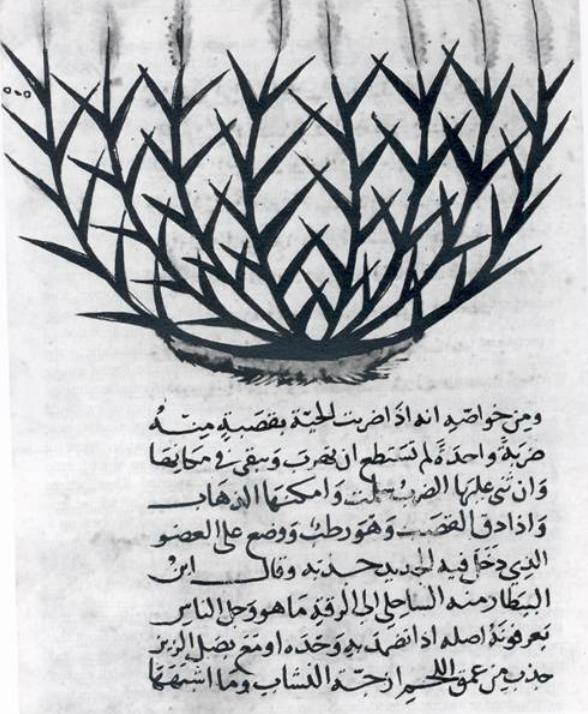 This was in conjunction with the adaptation of crops and techniques from and to regions beyond the Islamic world. Crops from Africa such as sorghum, crops from China such as citrus fruits, and numerous crops from India such as mangos, rice, cotton and sugar cane, were distributed throughout Islamic lands, which, according to Watson, previously had never nurtured these crops. Watson listed eighteen such crops being diffused during the Islamic period. Some writers have referred to the diffusion of numerous crops during this period as the “globalisation of crops” . Watson argued that these introductions, along with an increased mechanisation of agriculture, led to major changes in economy, population distribution, vegetation cover, agricultural production and income, population levels, urban growth, the distribution of the labour force, linked industries, cooking, diet, and clothing in the Islamic world . To conclude, it may be interesting to state that the story we find in some Chinese ancient documents date back to the 13th century. 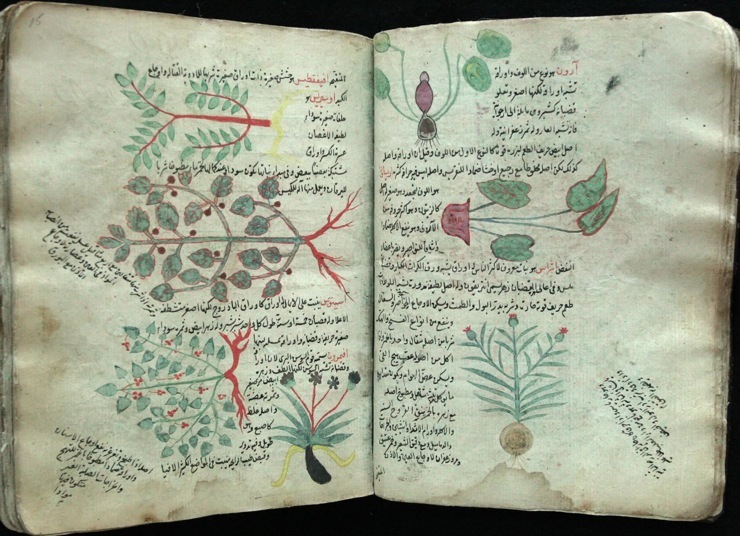 Unearthed by Hui-lin li, a professor of botany in the American University of Pennsylvania, these documents state that navigators originating from the Islamic world reached America prior to Christopher Columbus, where they brought various kinds of plants. This theory was the fruit of 9 years of research Dr Li dedicated in tracing multiple destinations throughout the world. The aforesaid documents confirm that Muslims brought and raised the papaya, pineapple, pumpkin and the Indian corn in a region named “Molan-pi”, which may correspond to some part of the Americas . 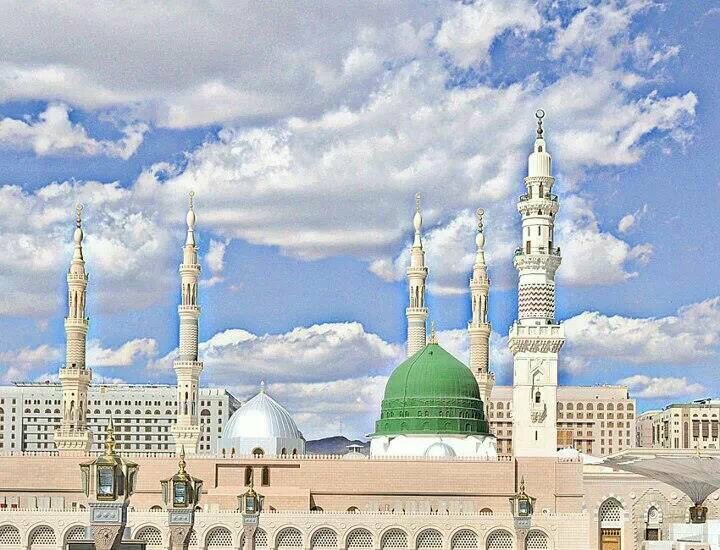 Not a day goes by without seventy thousand angels descending upon the Rawdha of the Prophet ﷺ, surrounding him and sending salawat upon him until night falls. When they ascend another such group of angels take their place and do the same; until when the earth splits open before him ﷺ, he comes out with 70,000 angels in procession around him.